It's no secret that healthcare costs in the U.S. continue to rise. A USA Today article quoting a report from the Department of Health and Human Services predicts that the $2.5 trillion we spent on healthcare in 2009 will nearly double by 2019 to $4.7 trillion. The $2.5 trillion spent in 2009 equates to about $8,047 per person. Who couldn't use a little of their $8,000 in personal medical expenses back in their pocket? Seems like it might take a superhero—or maybe a really innovative, dynamic, creative, and engaging activity—to turn around this course and help manage health expenses. Build the infrastructure for safe walking spaces at your campus. Create a "route" with maps available at your main entrances. If your building is big enough, make an indoor route for bad-weather days. Establish a buddy board where employees can post walking interests (such as time of day, pace, and desired distance) to match up with colleagues for group walks. Build a wellness incentive program around walking. Give away gift certificates for free or discounted walking shoes to launch your new walking initiative. Your employees are a substantial customer base for a local walking/running specialty shoe store. The retail establishment might be willing to cut a deal to your employees on a long-term basis. Help your employees understand the personal value of regular exercise. Nudge them toward developing a desire to be active. Tie this back to employee health and vitality rather than to the corporate bottom line. Teach them about their preventable health risks and how regular exercise is a proven means for improving health. Turns out, it doesn't take a superhero to turn the tide. But it does take leadership in the workplace to put some structure around opportunities for walking at work. Take it one step at a time. For very little money, you can establish a health culture at your office fueled by walking. 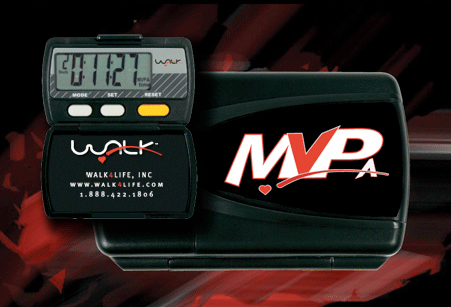 A good way for employees to measure their fitness progress is with portable tracking devices. These can range from the traditional pedometer to more advanced equipment. Pedometers come in all shapes and sizes. Enter "pedometer" into the Amazon search bar and you'll pull up 1,711 different options. Some measure only steps, whereas others have additional bells and whistles. Pedometers range in price from $4 to around $60. In the last year, a new fitness-tracking tool has come on the market. Fitbit is a handy little gadget that clips onto your waistband like a pedometer. However, this high-tech tool tracks more than a typical pedometer by measuring calories burned, steps taken, distance traveled, and sleep quality. You can link the unit to your computer and store your data on Fitbit's robust tracking site. You can also join Fitbit's communities, follow its blog, and track other health markers. At $99 per unit, the gadget is less expensive than the popular iPod nano and provides significant personal logging capabilities to track progress. Small employers: The Fitbit might provide a unique tool for your workforce to start moving more. 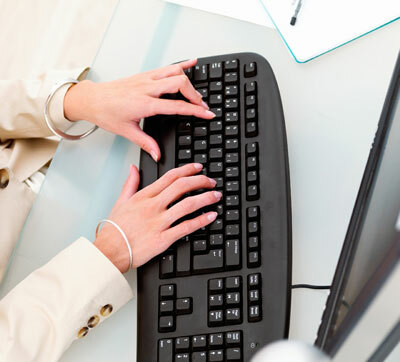 Using the website tools connected with the device, you could easily build a workplace fitness program on which to base company wellness rewards. Most employers have blocked social networking sites like Facebook on their company computers while simultaneously establishing robust social media policies. It’s not surprising; the reasons to block social media content from company computers are many. The truth is, your workforce is still out there playing FarmVille, tweeting on Twitter, and sharing YouTube content. Maybe it’s time to get social with your employee wellness program, by not only allowing social media use but also by creating a social media presence for your wellness program. Your employees are already out there. According to Cisco’s 2010 Midyear Security Report, an alarming 50 percent of surveyed employees admitted to surfing the web socially even though they knew it was against company policy. In addition, 27 percent of respondents took matters into their own hands by reconfiguring the settings on company computers to allow access to previously blocked content. Research tells us social networks matter. The Framingham Heart Study is one of the most well-known, comprehensive health studies in the industry. It followed, among other things, the impact of social networks on tobacco use and obesity trends from 1971 to 2003. It turns out that social networks have a very powerful influence on whether and how individuals will change health behavior. Quiet leaders might surface through social media. 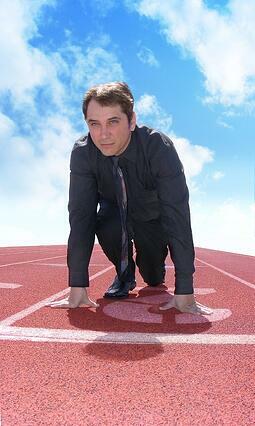 We’re always talking about the importance of employee champions for your wellness program. It’s common for those individuals to take the superhero form of the already-in-shape and always-eats-right marathon runner who wants to encourage her coworkers to be like her. Social media allows the quiet champions—the unassuming former smoker, or the less obvious heart-attack-waiting-to-happen who made small changes over time to improve his health—a platform to speak out, encourage, and quietly motivate their colleagues to take baby steps toward improving health. Using social media to promote your employee wellness program is hard for most executives to buy into because of the productivity concerns. However, this free communication and sharing opportunity might provide more benefit than you expect. Your employees are already out there socializing. Why not meet them where they are with the messages you want them to hear? Corporate fitness folks hear it all the time: "I really want to work out on my lunch hour, but I don’t want to sweat at work." It's a legitimate excuse. Some of us sweat in ways that it takes hours to recover from. And who wants to smell sweaty for the rest of the day? That being said, avoiding exercise altogether will only result in overweight employees. Instead, think of yoga as the answer. We don’t mean that in an all-the-world's-mysteries-can-be-solved-while-you-meditate kind of way. But the truth is that yoga can challenge your muscles enough that employees will walk away from class feeling both relaxed and rejuvenated while barely breaking a sweat. There is still debate on exactly how effective yoga can be for true, sustained weight loss. But yoga can positively impact flexibility and muscle tone as well as body image. Each of those pieces has a role in an individual's ability to maintain or lose weight. A great way to control healthcare costs is to start a yoga class at work. If you can’t afford to hire an instructor for a formal yoga class at your worksite fitness center or a vacant meeting room, try renting some DVDs from the library and borrowing a TV/DVD player combo from your AV room. 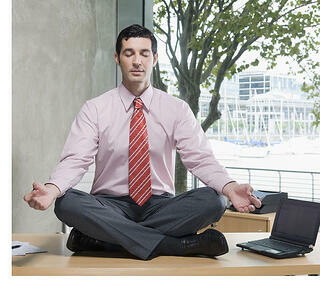 Employees can also incorporate yoga into their day by using some yoga relaxation moves at their desks. It’s rare for me to have a conversation with a prospective NIFS client these days without being asked something related to the return on investment (ROI) for worksite wellness. I can’t blame them; these folks are typically tasked with decreasing an organization’s healthcare costs. An organization can take one of several approaches to decreasing healthcare costs, such as decreasing the size of the workforce. But cutting staff offers diminishing returns. Wellness, as general as that term is, can be the solution. Here’s the thing: ROI for wellness programs can be extremely tricky to capture. Not only do you need to build your program with the right pillars in place, but the evaluation can be hard to wade through and costly to calculate. Read what Dr. Ron Goetzel, an industry pioneer in measuring wellness ROI, has to say about this in his WELCOA interview. What’s a company to do? Wellness is complicated and requires persistence over time to see the results you’re looking for. If you can’t get everything in your wellness program “just right” and you don’t have the means for full-blown evaluation, should you give up and not offer a wellness program for your workforce at all? The organization is interested in doing right by its employees. You recognize a responsibility to contribute positively to your employees' overall wellbeing and that happier employees are more loyal and productive employees. The first part—doing right by your employees—is actually even harder to measure than health outcomes and changes in corporate healthcare costs. But if you watch your employees' faces and listen to the water-cooler conversations, the anecdotal evidence you capture will say it all: Treat your employees right—with programs and services that make the healthy choice the easy choice—and they’ll work harder for you. 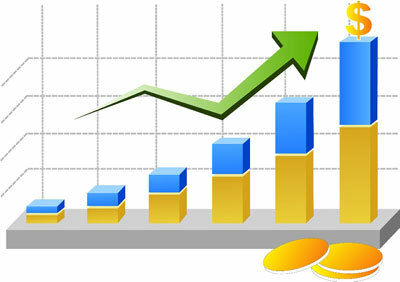 A recent Gallup survey reported that over one quarter of all medical costs are directly related to defensive medicine. That's a lot of unnecessary medical care by doctors just to protect themselves against potential malpractice lawsuits. What if we poured 25 percent of our energy into practicing our own defensive medicine--aka disease prevention or health promotion? What if your employees spent 25 percent of their one-hour lunch break getting some exercise at work? Of course, not everyone is willing to do that. But what if employers supported 15-minute walk breaks for their employees so that they could get that walk in on the clock? Think about it: Fifteen minutes of walking the parking lot or the campus halls (which burns 50 calories per 15 minutes for a 150-pound person) could do a lot of people--and businesses--a lot of good. Wise employers know that getting away from the desk and being active can help employees be more productive. And the health benefits from this exercise can help a company control healthcare costs and practice their own defensive medicine. Tell us how your company is supporting physical activity in your workplace. Does your organization's disaster recovery plan account for the almost-certain riot that could ensue if your elevators break down? While I may have a flair for the dramatic, check out the crowd reaction to the escalators freezing at Washington, D.C.'s Dupont Circle stop recently. Your employees might look strikingly similar to these dumbstruck passengers if they were forced to scale the stairs each day. I think people take elevators and escalators almost mindlessly (kind of like how we eat most of the time). It doesn't really enter most individual's consciousness to view stairs as a small but beneficial chance at some extra activity each day. Climbing stairs burns roughly seven calories per minute for a 150-pound individual. Taking the elevator burns just one calorie per minute for the same person. Over the course of one month, if you choose the stairs for five minutes per day, five days per week, you will burn an extra 750 calories. Over the course of a year, that's more than 9,000 calories burned, which is equal to roughly 2.5 pounds. Although that isn't staggering weight loss for the year, it does provide you with some buffer for maintaining your weight year to year (assuming your calorie intake is unchanged). Furthermore, for overweight employees who are trying to lose weight, taking the stairs can support that ongoing effort. 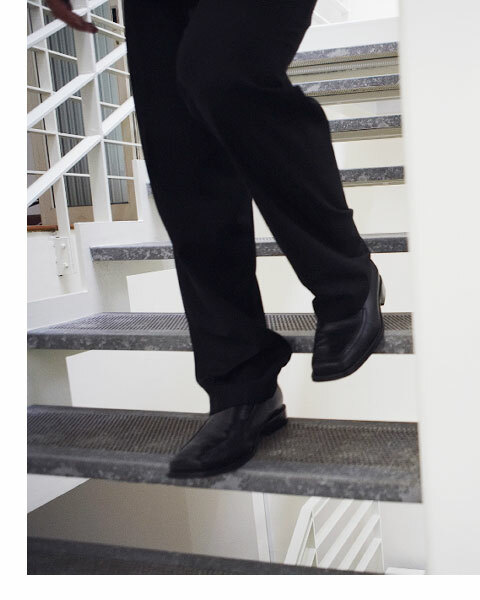 This guide from the California Department of Health Services has extensive tips on encouraging employees to take the stairs at work or comment below to tell us about your healthy stairwell campaign. "Build a health culture at work and your wellness programs will succeed," worksite health promotion professionals have said a thousand times. Seriously though, what does that mean? What does a health culture at work look like? How do you know when you’ve arrived? Maybe we reach our destination when we learn to infuse a little healthy fun and flexibility into the workday. Consider this: A team of employees at the McPherson CertainTeed Molded Products plant in Kansas created and implemented their own employee health initiative. Working with McPherson County agents, the employees found a piece of land on which to plant a vegetable garden. They tilled the soil and planted the seeds. Today, the garden is maintained by an enthusiastic crew of employees. Those who work the garden also reap additional health benefits from the physical activity required to plant and maintain the garden. 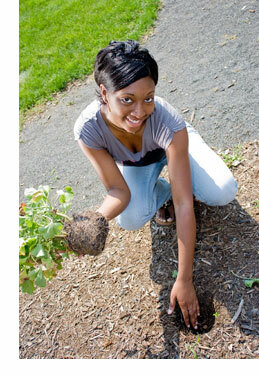 Employees also reap the benefits of healthy, pesticide-free veggies for daytime snacks and at-home cooking. Exercising, eating right, having fun, reducing stress…sounds like a health culture to me! How Can You Build A Health Culture at Work? Share what your company is doing to build a healthier culture by commenting below. Even better, let others know how are you empowering your associates to take the lead in constructing a shared and mutually beneficial healthy workplace culture.